When you need music tracks reminiscent of the 70s and 80s, look no further than Shadowdown Music. We are a music production company that creates instrumentals for the general public, as well as commercial use, Nationwide. Our melodies are inspired by a time when music was made without technology and was created, not generated. We are passionate about old-school music, and our songs resemble melodies of the past with a modern twist. They are easy to listen to, motivating, positive, and energetic. Our worldly sound is loved and appreciated by music lovers of all genres and cultures. 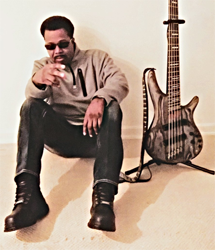 Shadowdown Music offers old-school instrumental groove music with a modern twist. Our founder, MJ, found his inspiration to become an artist by drumming in the church. Eventually, he left the church to focus on his study of world music and music theory. All our songs are recorded live in the studio. Shadowdown Music is an independently owned and operated music production company with more than 40 years of experience. We have been in operation since 1999, and we have never looked back, including being affiliated with BMI. It is our belief at Shadowdown Music that music is a universal language and you can reach people throughout the world by understanding their musical culture and heritage. Thank you for your interest. For questions or comments, please use the information listed on the Contact page. We look forward to hearing from you soon.